As some of you know there was a big mistake in the NBA all-star voting, Ray Allen and Rajon Rondo got left off the roster. Allen as of 1-31 is averaging 17.9 points per game, with 3.4 rebounds per game, and 2.8 assists per game. Rondo is averaging 11.1 points per game, 4.9 rebounds per game, and 8.1 assist per game. I can sorta understand Rondo being left off. I mean this year was his breakout year, he is still young so he could be elected to more, he is not that good of a shooter, and he is only 6’1 which is tall just not for a basketball player. Allen though is one of the best three point shooters ever if not the best. Allen though is sometimes the forgotten piece of the fabulous four, Kevin Garnett, Paul Pierce, Allen, and Rondo, because Garnett and Pierce made it in and get all of the awards. Rashard Lewis and Jamer Nelson, both play for the Orlando Magic, got in. Before I thought Allen and Rondo should have gotten in but I just looked at their stats and I think that Lewis some what deserved it while Nelson still shouldn’t have gotten in. What happens is the fans vote for who should be the starters then the coaches chose seven players to be their reserves. The coach this year for the East (the Celtic’s and Magic’s league) is Cleveland Cavilers coach Mike Brown. The Cavilers are rivals with the Celtics so he could have picked only Paul Pierce as a reserve to see Allen and Rondo get left off. That is unlikely because the only player going to the all-star game from the Cavilers is LeBron James, who was voted in as a starter. The West head coach coaches the Celtic’s arch rival the Los Angeles Lakers, Phil Jackson. You might now him as that old guy that screams a lot. Well even though Allen and Rondo won’t be there Allen should be in the three point shout-out and Garnett is starting while Pierce is a reserve. What Is Wrong With The Celtics!?! First- I have to go back to school tomorrow. 😦 I try to blog in the morning but I don’t think that will work out. In case you don’t follow the NBA my Celtics are two and four since losing to the Lakers on Christmas day. The only teams they have beat or the Kings and Wizards two of the leagues worst teams. They lost to the Lakers, Warriors, Trail Blazers, and Knicks. I can’t blame them on the Laker loss. The Lakers wanted to win that game ever since the Celtics beat them in the NBA Finals and the Trail Blazers are a good team. The only problem with the Trail Blazer game?Their best player, Brandon Roy, was out. The Warriors are an okay team except for the fact that they had so many players out due to injuries. The Knicks game they did terrible in the third quarter. Most of the time the Celtics rest and get pumped up at half time but not that time. The Celtics still have the best record in the NBA being 29-6 and are a game up on Cleveland. Look at January ninth when they play each other. They face the Bobcats on the road on the sixth and the Houston Rockets at home on the seventh. 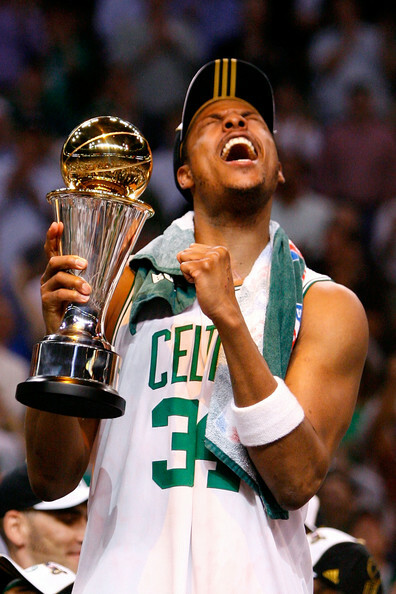 In order for the Celtics to win against the Bobcats they just need to play like they did during their nineteen game winning. To win against the Rockets they need play like during their nineteen game win streak and have a fairly big game from anyone really. It could be Ray Allen, Kevin Garnett, Paul Pierce, Rajon Rondo, or even a scrub like Patrick O’Bryant. No offense. I think the Celtics will beat the Bobcats and win in a close game against the Rockets. 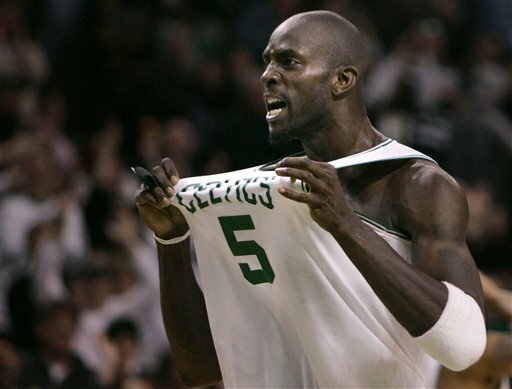 I’m also going to try not blogging about the Celtics as much. It seems like I jinx them every time.